Learn how to apply theme HERE! Something special for the holidays for all Aston users. Theme with great Christmas taste and feel. We move indoors this year with classic holidays red and green color combo spiced with some amazing animations. 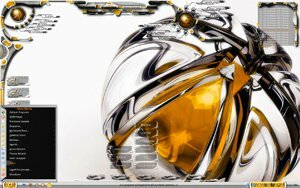 Since we have continued to develop Aston Secure Desktop on brand new Aston2 engine we decided to share this new(old)themes with Aston1 community. 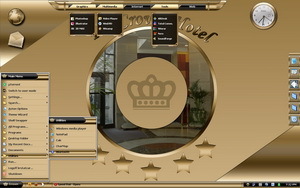 This theme was intended for hotels but you may enjoy in it anyway you like. 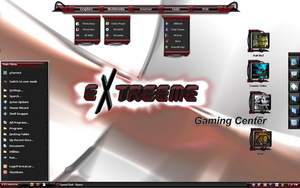 This theme was intended for gaming centers but you may enjoy in it anyway you like. 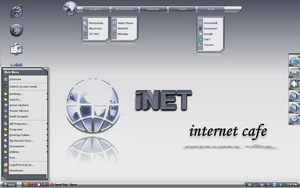 This theme is light and was intended for internet cafes but you may enjoy in it anyway you like. Slic Chique, for AstonShell by mrbiotech. This work is released under the Creative Commons License. You may use all parts of it for your own projects but MUST ATTRIBUTE THE ORIGINAL AUTHOR: Rich Kulesus (mrbiotech). One of four colors in this series. 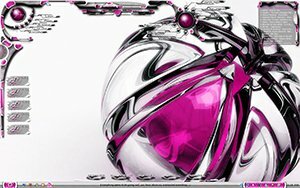 Pink version of the Unleashed 2.0 series. Redo of my 08 Unleashed themes. More plugins like AstAmp, Search, RecycleBinEx, Panel, DiskEx, zVolume, Amonitor. 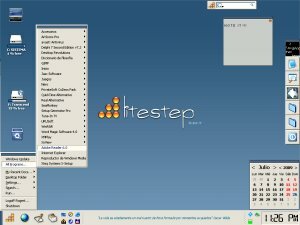 I try LiteStep for about two weeks. Good interface, but I prefer Astonshell's flexibility. So, this Asto theme need small resources and your system will be fast and stable. 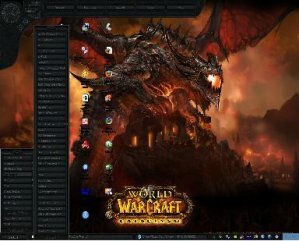 - Use included QPanelEx plugin to get that big icons on taskbar. - Use alternative PLaunch plugin and disable QLaunch plugin for better look.